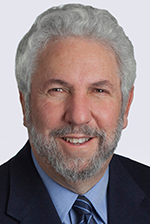 Kenneth Marcus, a partner in the health care practice group of Honigman Miller Schwartz and Cohn LLP, has been named to the Life Members Council of the American Health Lawyers Association. The purpose of the council is to provide a forum for 3000 of the association’s attorneys who have been members for more than 15 years, to encourage further efforts. Marcus has served as co-chair of the Life Members’ steering committee between 2013 and 2015, and led the efforts resulting in the formal establishment of the Life Members Council. Objectives of the Life Members Council include the establishment of advanced educational programs, enhancement of mentoring, participation in public interest activities, and providing a networking forum for seasoned health law practitioners. Marcus, of West Bloomfield, advises clients on Medicare and Medicaid Anti-Fraud and Abuse Provisions, the Stark Act, and the Federal False Claims Act. In his thirty year career as a health care attorney, Marcus has also represented clients in health systems, hospital mergers, managed care contracting, integrated delivery system development, hospital-physician joint ventures, hospital physician practice acquisitions, and physician contracting. He earned his bachelor’s in history from the State University of New York, his master’s in heath services administration, and his juris doctor from Wayne State University.